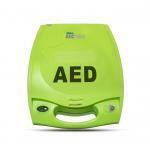 The right AED can make all the difference in saving someone’s life. 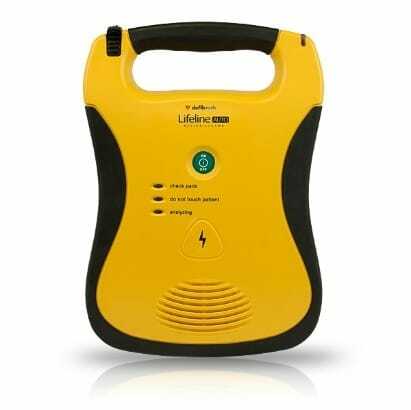 The Cardiac Science Powerheart AED is no exception. Available in the G3 Plus – Fully Automatic, this is a Cardiac Science AED that plays a vital role in potentially saving a life. With Rescue Ready® technology, all main Cardiac Science AED components (battery, hardware, software, and pads) are checked daily. The AED completes a partial charge of the high-voltage electronics weekly and a full charge monthly. Expect clear voice prompts and helpful screen text, both of which will guide the user through the entire process. RescueCoach™ and CPR metronome functionality pace users through chest compressions. Additionally, our proprietary STAR® biphasic technology calculates electrical impedance and escalates energy to deliver therapy at an appropriate higher level. This comes in handy if a patient needs a second shock. 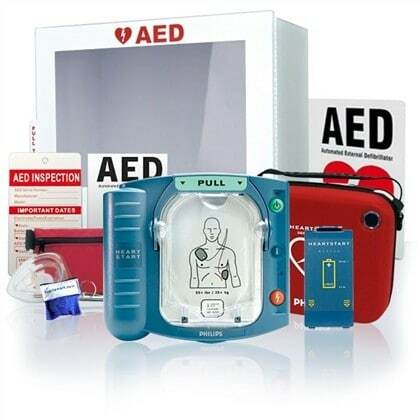 This Cardiac Science AED comes with a 7-year warranty, among the longest in the industry, and a 4-year full battery operational replacement guarantee. 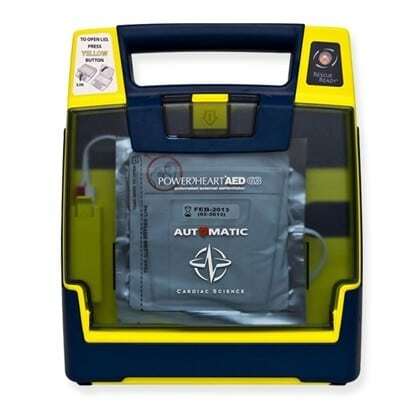 This Fully Automatic AED is ideal for lay rescuers to use in public access defibrillation areas such as schools, workplace environments, and athletic fields or sporting venues, as well as being suitable for first responders. Cardiac Science AEDs, particularly this Powerheart G3 Plus, excel at reliability and functionality.